The popularity of hybrid vehicles is currently at an all-time high. With hybrid efficiency, power, and reliability on the rise, it is no wonder that millions of automotive consumers have chosen to be more environmentally responsible and go green, with an electric/gasoline powered hybrid vehicle as their primary mode of transportation. What exactly is a hybrid vehicle, and how does it work? That is what we will examine in this guide which is designed to educate the prospective vehicle consumer and to help you decide if a hybrid vehicle is right for you. Nearly every new car manufacturer is now offering one, or more, hybrid models. This gives you, the consumer, a myriad of choices. From sub-compact cars to full-sized SUVs (some manufacturers are even producing high-powered hybrid supercars) there is a hybrid vehicle for every need. Let’s take a look. 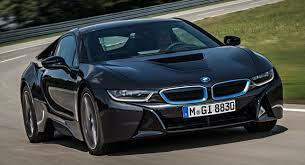 The modern hybrid vehicle utilizes some type of combustion engine in conjunction with one, or more, electric motor/s. Typically, an on-board lithium-ion battery serves as a primary electrical storage unit for the motor, with kinetic energy from braking and the decelerating combustion engine, along with voltage from the alternator/generator also acting as contributing sources of voltage. Differing configurations in combustion engine and electric motor design are common. Some manufacturers choose to equip their hybrid vehicles with minimal gasoline powered engines, and then use a more powerful electric motor, or multiple motors; others use a powerful gasoline engine with a less consequential electric motor. A hybrid vehicle should be chosen according to your specific driving habits and geographical needs. If your driving tendencies lean more toward the performance style, then a more powerful gasoline engine with a smaller electric motor will better suit your needs. Normal hybrid operation dictates that the more powerful gasoline engine is used upon acceleration from a stop, or under heavy acceleration conditions. Once the vehicle reaches cruising speed and the engine RPMs stabilize, the electric motor takes over, conserving fuel and reducing exhaust emissions dramatically. The conversion between gasoline engine and electric motor (or any combination thereof) is automatic and is controlled by the powertrain control module (PCM). Input signals from the throttle position sensor, vehicle speed sensor, and engine load sensors (among other things) provide the PCM with data which is calculated to determine which propulsion type is appropriate for conditions. The most popular and best selling gasoline/electric hybrid vehicles are known as power split hybrids. The Toyota Prius, Ford Fusion Hybrid, and Lexus RX400h are all power split hybrids. The power split hybrid design utilizes an electric motor and a combustion engine, which can be used in any combination, to power the vehicle. A power splitter is used to control the ratio between the two sources. A ratio of between zero and one-hundred-percent can be split, in varying degrees, between the gasoline and electric motors according to inputs received from various sensors. The combustion engine may also act as a kinetic energy generator for the lithium-ion battery. Plug-in electric hybrid vehicles, such as the Ford Fusion Energi and Toyota Prius Plug-In Hybrid add the dynamic of a plug-in electric vehicle to the gas/electric hybrid. By using an auxiliary power supply, the plug-in hybrid model can travel a designated distance on total electric power, then switch to a hybrid mode. Currently, these two types of hybrid vehicle are by far the most popular. Fuel-cell electric vehicles are also gaining ground. They use a hydrogen fuel cell to recharge depleted lithium-ion batteries, and emit only steam emissions.